Bud’s Ambulance is currently seeking candidates for EMT-B and Paramedic positions. As a high-volume 911 agency, Bud’s Ambulance offers unparalleled industry experience for prehospital professionals. ◦Serve the community with pride. Because of our decades-long partnership with Southland communities, our Paramedics are among the most experienced and well-respected in the area. ◦Be a part of a team. 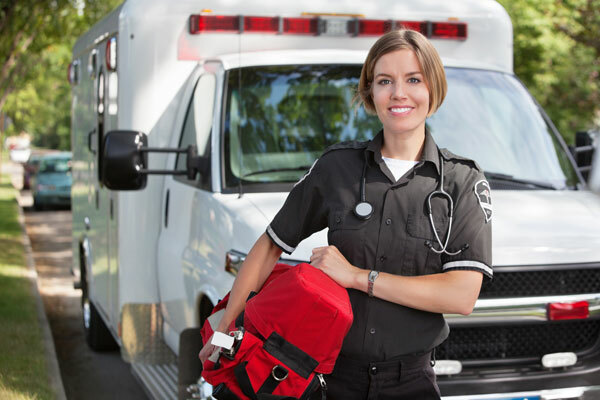 At Bud’s Ambulance we value providers who collaborate and work effectively together. Our corporate leadership frequently runs emergency calls alongside our staff. We are proud to be active paramedics. ◦Use your education. We are the only ambulance agency in the area that trains and staffs EMT-Basics to respond on 911 calls and work on ALS ambulances. ◦Grow with us. From our Critical Care Paramedics to our Management Team, a majority of our staff began working with us as EMTs. We have created an environment that fosters professional growth, and we will provide you with the skills, experience, and leadership to advance your career. Additionally, we offer Paramedic School sponsorship, tuition assistance, flexible scheduling, tutoring, and ALS ride time for students pursuing the next step in their career. ◦Thrive as an employee. We offer a full complement of benefits including in-house Continuing Education, Health and Dental coverage, 401k with Employer Match, Direct Deposit, Paid Time Off, and a variety of scheduling options including 8-hour, 10-hour, and 14-hour shifts. Our recruitment team is available at our 1234 E Sibley Blvd location in Dolton during normal business hours. Please call (708) 849-0945 and ask for Mike Gilmore. We always prefer in-person applications, but the following form is available any time. We look forward to meeting you!